From east (Kilwinning): After entering Stevenston, continue straight across first roundabout. At second roundabout, take second exit down Townhead Street towards town centre. 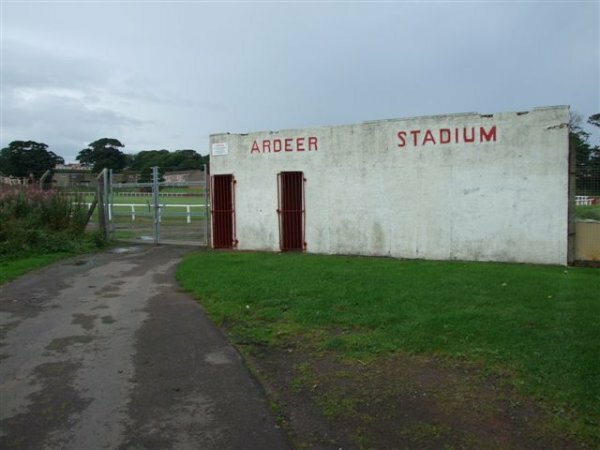 Take third left turn down New Street and second left along Old Quarry Road where the entrance to Ardeer Stadium can be found. Social club: No. The Pop Inn is located in New Street. Further on, The Cross Keys is found in Main Street. 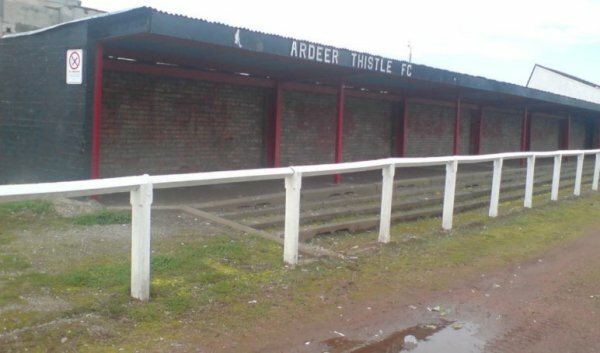 The Ardeer Stadium is set back off the main road through Stevenston and has turnstiles at either end of the venue (one off the main road and another that is accessed through a housing estate). 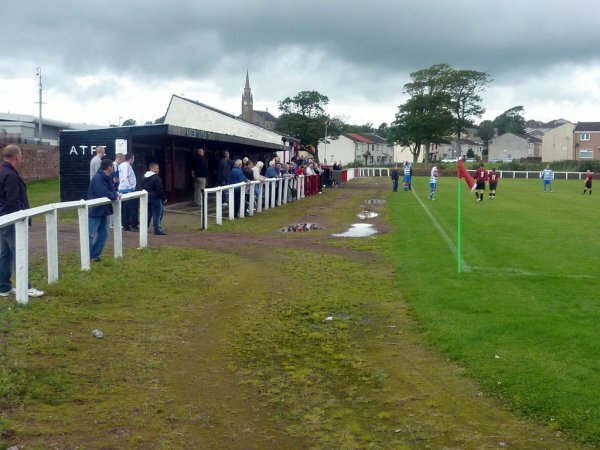 A covered stand that holds a few hundred runs up one half of the pitch to where the changing rooms and pavilion is. Here a kiosk can be found selling the usual snacks and drinks. 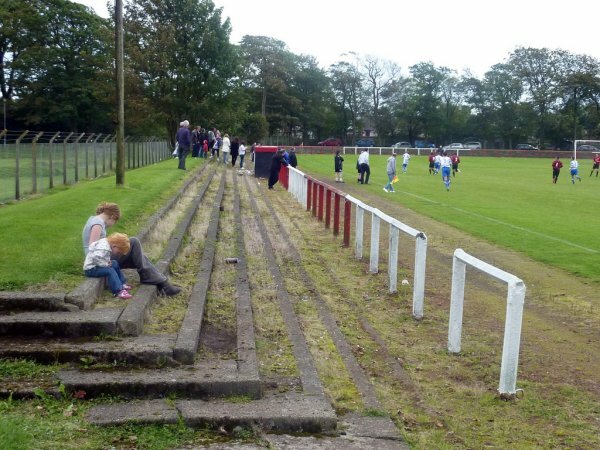 The ground is in an oval shape although there is only a cinder track, and stepped concrete terracing surrounds the pitch. 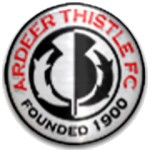 The ground's oval shape dates back to the time that it was used by another Junior club, Ardeer Recreation, who were funded by ICI. The stadium was used not just for football but for athletics as well. At one time the track was lined for racing. 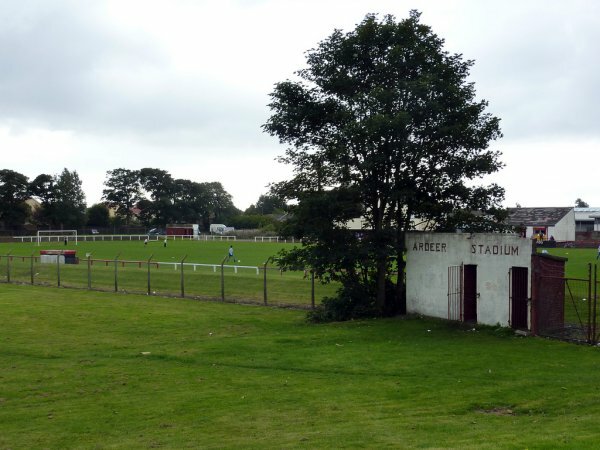 The nearby Stevenston High School (now also no more) held their annual sports days at the ground. 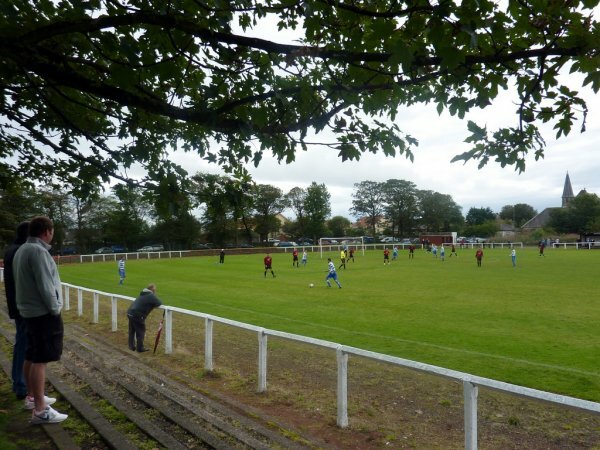 The surrounding area, now a housing estate, had a cricket pitch, hockey pitches, more football pitches & tennis courts.